"From beginning to end everything was professionally handled. You were all so friendly, helpful and caring and efficient. Thank you for making Mom's move go smoothly and stress-free"
Angels on the Move has the winning combination of years in the business, caring employees, and the flexibility to handle everything from a small organizing job to a full moving project. Angels on the Move is dedicated to the highest level of service and support throughout the downsizing, moving and organizing process. Whether you are moving across town, across the country or need help organizing and de-cluttering your home, our staff is here to provide those extra set of helping hands and useful information to make it easier. 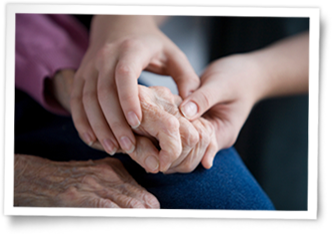 Our attention to detail, organizational ability, and the care we take to protect the well-being of the seniors and all family members has earned us the affectionate title of “angels”. Our culture of excellence and caring for our clients is exemplified by an outstanding customer satisfaction level of 95%. The most heard comment from our clients is “we could not have done it without the ‘angels’ “. We are proud of the words and appreciation from our clients for the job well done. The most rewarding part of all of our jobs is the appreciation and hugs from our clients. Our company’s greatest asset is our team of “angels,” who share the understanding and empathy for families in transition. Our teams work with all generations of families, and have the patience and wide range of experience to help them through the emotional and physical challenges of downsizing and moving. Our “angels” are employees (NOT outside labor or sub-contractors) and are insured, bonded, and background checked. Sue Lyons, Director of Angels on the Move, has 10 years of experience in working with seniors and their families as a move manager. Sue has a personal understanding of the physical and emotional challenges associated with helping aging family members transition into their new home. With the loss of her own mother and the process of clearing out a lifetime of family possessions, Sue realizes the need to help others in similar situations. 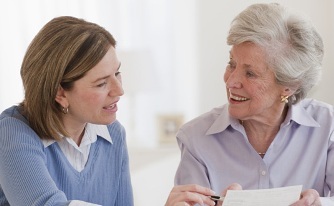 Angels on the Move is here to serve and support the needs of all clients and situations. Our experience and dedication to excellence means your peace of mind.